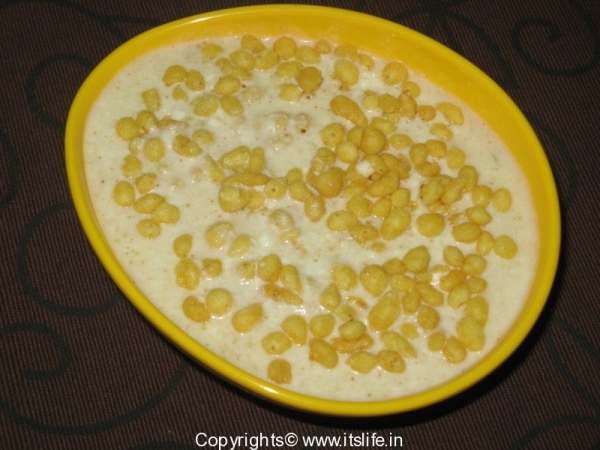 Boondi is small round crunchy deep fried snack. This is mixed with Yoghurt and spices to make the Raitha. A very popular dish of North India. 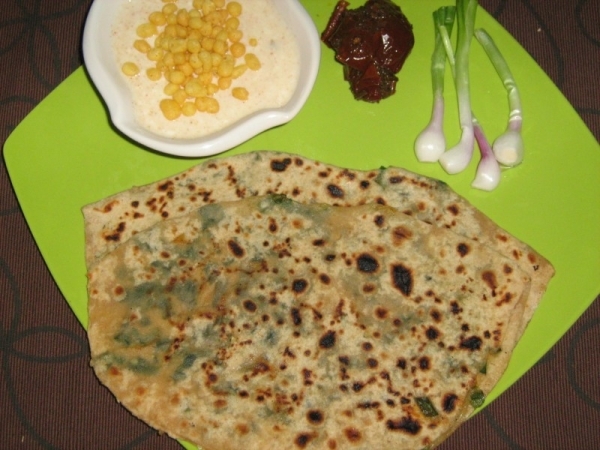 It is served as an accompaniment with Indian Bread and with Pulao or Biryani. In a mixing bowl add Chili Powder, Black Salt, Jeera Powder, Sugar and Salt to Curds/Yoghurt and mix well. Chill for 30 minutes. 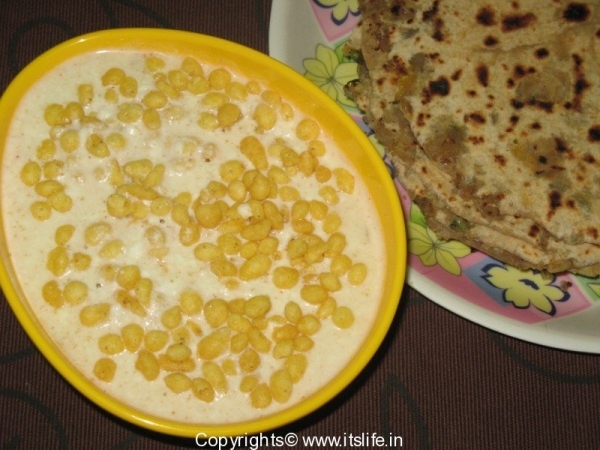 Just before serving remove from refrigerator, add Boondi and mix well. Serve with your choice of Indian Bread or Pulao.